There are lots of clever ways to keep your home warm and reduce the work of your heater. Simple things like opening drapes to let the sunshine in during the day and then closing them at night can save energy and money. We all know that insulation helps a home to stay warm and reduce heating costs. However, there are some other clever low or no cost tricks that can also help to keep your home warm and lower your energy use in the winter. Simple things like drapes, rugs, and landscaping can save both energy and money. And by reducing energy use you also reduce carbon emissions and air pollution. Then keep the heat in. When the sun goes down, close your drapes or shades to keep the warm air in. Drapes & Curtains: For best results, look for energy efficient rated drapes or curtains. If the ones you like aren’t rated, look for mid to heavyweight drapes with lining that will provide good insulation. Draperies can reduce heat loss up to 10% in the winter. To be most effective, drapes should completely cover your window, hang as close to the window as possible and fall onto the windowsill or floor. Shades: Honeycomb shades are very effective at insulating windows and come in double or triple cell shades for extra efficiency. 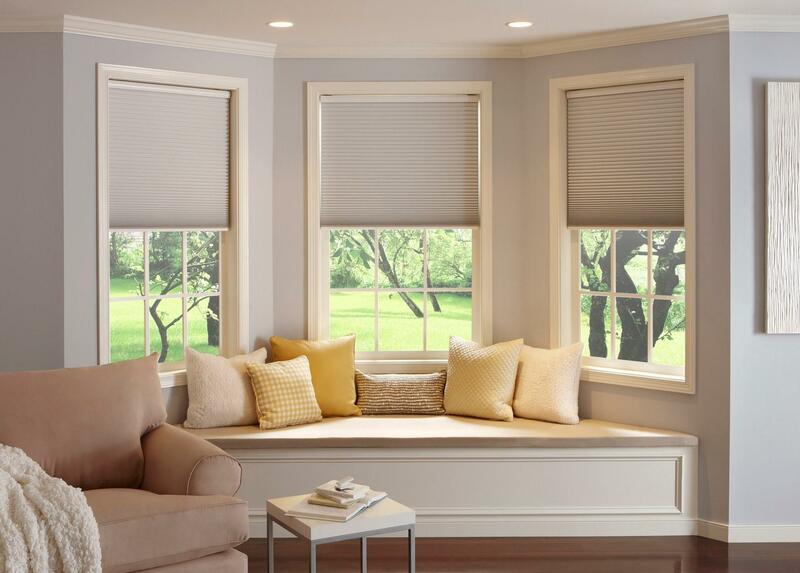 Woven or roman shades can also come with liners that increase energy efficiency. Blinds: Blinds are not as effective at retaining heat as curtains or shades; however, they can be more effective and flexible in reducing heat in the summer. If your climate has more extreme heat than cold, blinds might work for you. Adjust Awnings: Just like curtains, outside awnings can block the sun into your home. During the winter months retract or remove awnings, particularly on south-facing windows, to let the sunshine in. Check out your window coverings and add/replace if needed to provide insulation for your windows. Adjust awnings as needed. Extra Credit - Plant a Tree: Trees in your yard can also block sunshine from coming in your windows in the winter. Deciduous trees have leaves in the summer, but drop them in the winter—ideal for providing sunlight in the winter and shade in the summer. Planting deciduous trees near south or west-facing windows can save heating energy during the cold months and reduce your cooling costs when it is hot. Take credit through the Plant a Tree action! These additional tips and tricks can help you save even more energy and keep your house warm! Complete any that apply to your home. Make sure your heat is circulating. Your heater is working hard to keep your home warm - make sure the heat it produces is circulating around your house. First, check to make sure nothing is blocking your heating vents. Move furniture and drapes away from vents to allow unrestricted heat flow and protect from potential fire hazards. You can also use a ceiling fan to help your heater circulate warm air. In the winter, set your ceiling fan to rotate in a clockwise direction, and it will push warm air that has collected near the ceiling back down into the room. Just remember to turn the fans off when you leave a room to avoid wasting energy. Avoid heating unoccupied areas. If you have rooms in your home that are not used often, such as a spare bedroom, try closing the door and blocking off the vent in that room to reduce energy use. Some vents have a switch that closes the louvers, or you could use magnetic vent covers which you can find in many home improvement stores. Caution: never close off more than 25% of your vents at any given time—you could damage the heating system. Check your owner's manual for more information. Add a rug and warm your floors! Cover cold bare floors with rugs to maximize heat retention. 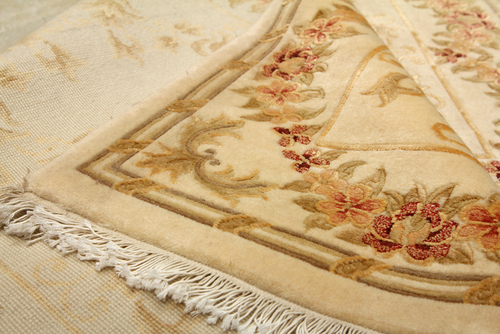 Rugs or carpeting are great for adding comfort, but they can also help insulate. They are especially helpful for rooms with little or no floor insulation. If your floors are really cold, you may want to consider adding floor insulation. Check out the Insulate Floors & Walls action to learn more! If you have a fireplace, check your chimney. Chimneys are another big area for heat loss in your home. If you have a fireplace, close the flue when not in use to keep the cold air out and the hot air in. Just be sure to check there are no embers before you close the flue. To add extra protection, install glass doors and keep them closed. If you have retired your fireplace for good, install rigid insulation in the chimney to block heat loss around the damper. Finally, drafty windows and doors let heat escape too. Learn how to prevent this type of heat loss with the Weatherize My Home action.